Sometimes the chickens are causing a ruckus because one of the hens grabbed the prized kitchen scrap and they’re all fighting for it. Tuesday late afternoon, one such chorus was going and I almost let it go. Instead, I pulled the classic parent move and said, “R, go look out the window and see what’s going on.” I was close behind her and dashed out the door almost as soon as I neared the window. It was a hawk. Oh it was a big hawk, perched right on top of the chicken coop roof! 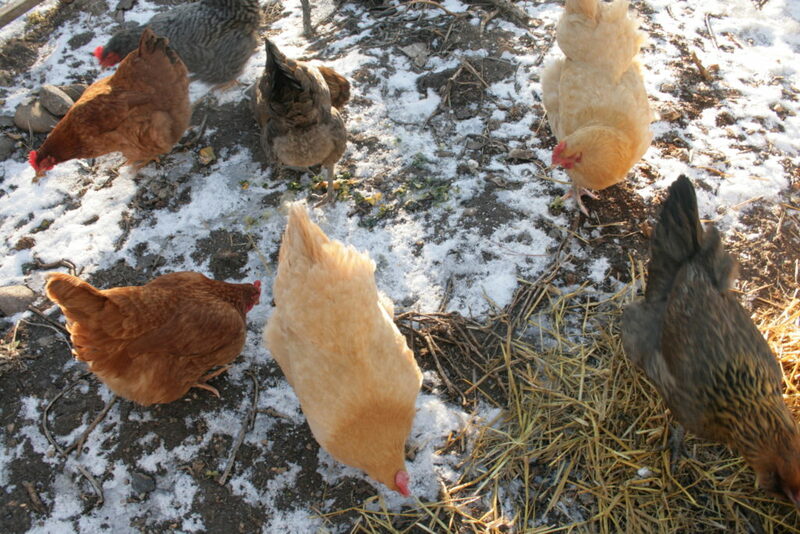 It was a warm day, so the chickens were all out, spread around the yard. In my panic, I did not capture a photo of the bird, but with a little research and memory, we think it was a Red-Tailed Hawk. While it was kind of awesome, I hope it does not return, or I fear this could be my chicken getting nabbed! This is not the first time we’ve had hawks perched in the yard, but this was without question the largest hawk we’ve had. The chickens are all fine, thankfully. The only injury was a large scrape of the face from dodging into the blackberry bushes. Geesh, those are sharp. Plus, all the time I had to spend looking for the chickens in hiding! I’d like to say my birds felt I rescued them, but they found no comfort in my presence. 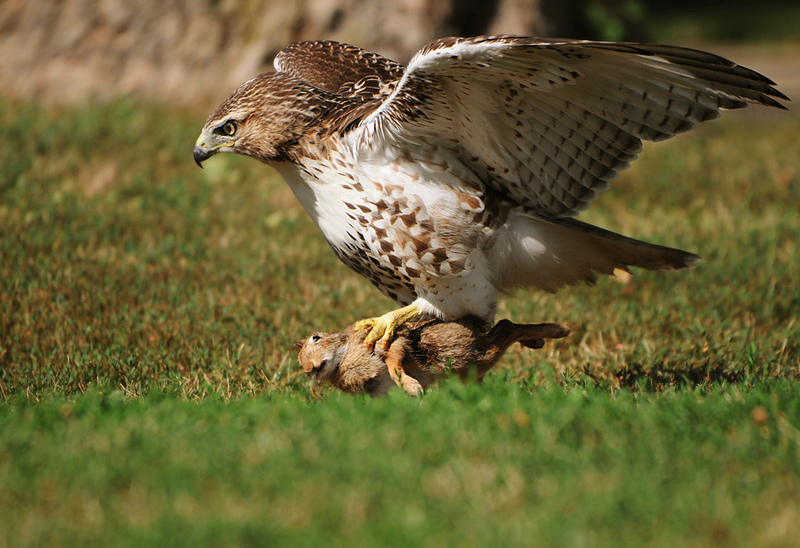 Long after the hawk was gone, they were still reluctant to come out from hiding. It took lots of luring to get them closed up. 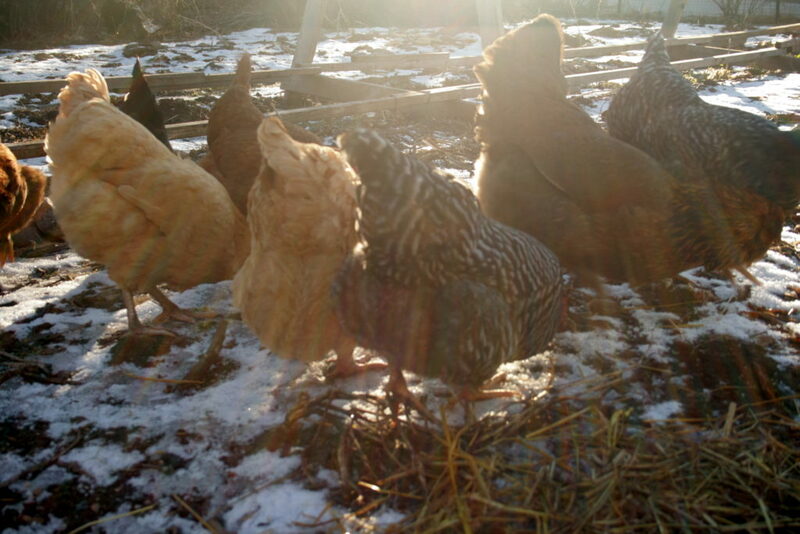 I’m especially grateful they’re all alive because they finally just returned to laying eggs. 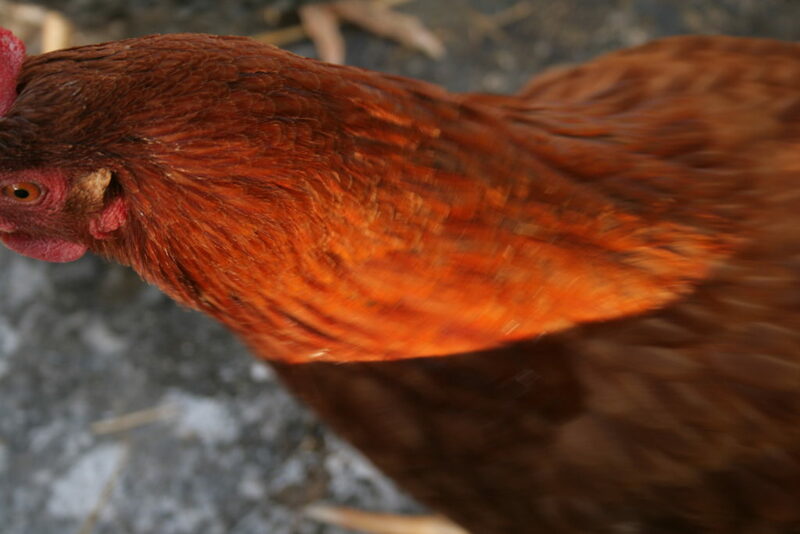 If you recall, back in the Fall, a broody hen stopped laying, and all the rest started molting, at which time they only produce new feathers, not eggs. I can’t determine who has returned to laying (we used to know which egg belonged to each chicken! ), but winter laying is less than summer production anyway. 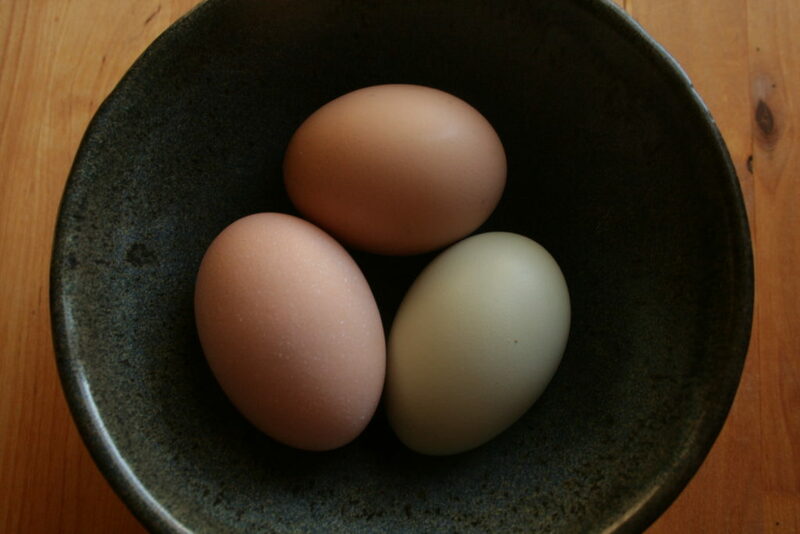 Right now we get about three eggs per day for eight chickens, without provided lighting to lengthen the day. 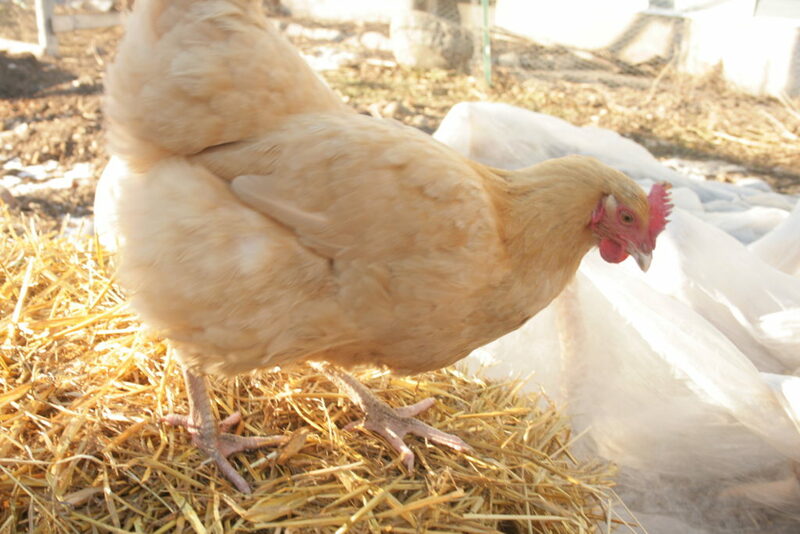 Here’s little miss broody, finally looking healthy again. She sat in the nest until she looked near death. Even her comb was pale and flopped like a whale in captivity. So nice to see her out enjoying the… snow? I know they’d really rather have some bugs, but we don’t come across those in Minnesota winter. Apparently, we have plenty of hawks around for winter, though! Do share about the predators in your area!